A retained expert witness is obligated to present unbiased, factual analysis of a case’s key issues based on their industry expertise. A retained expert witness does not, however, have the right to purposefully concoct erroneous opinions out of spite. One expert recently learned this the hard way. Bradford Cornell, an economist and professor from UCLA and Caltech, is being sued for $35.5 million after his expert appraisal for a valuations case was discredited by the judge. The reason? The judge questioned his impartiality. Now potentially on the hook for the $30 million lost judgment as well as $5.5 million in interest, Cornell’s secret biases and ulterior motives to work as an expert are being called into question. So what exactly happened? A group of two Cayman Island hedge funds, collectively referred to as Verition, owned substantial shares of AOL stock in 2015, when the internet company was acquired by Verizon. AOL was acquired for $4.4 billion, or $50 per share. Under the belief that AOL had sold itself too low, Verition went before the Delaware Chancery Court to argue that the AOL shareholders were entitled to a larger amount per share. Judge Glasscock’s obscure commentary regarding Cornell’s questionable impartiality became more apparent when Verition filed a lawsuit against its own expert in Delaware court. Allegedly, Cornell had initially approached Verizon offering his own expert opinion while also criticizing Verition’s appraisal estimate. Verition possesses Cornell’s own emails, in which he states that Verizon “had the better side of the case.” Verizon ultimately rejected Cornell’s offer and elected to retain Daniel Fischel of Compass Lexecon as its expert. The plot thickens, however, upon the discovery that Cornell was also affiliated with Compass Lexecon. Verition claims that it was unaware of the existence of these emails and Cornell’s relationship with its adversary’s expert, until after he was retained (at a rate of $1,050 per hour plus expenses) and the valuation report issued. Verition alleges that Cornell’s emails wrecked its case, since it helped advance Verizon’s argument that Cornell’s “unvarnished” opinion was more accurate than his actual valuation. As a result, Judge Glasscock ostensibly relied upon Verizon’s expert’s estimate, making it, in Verition’s view, “very difficult to win an appraisal case…” Verition’s lawsuit alleges that its firm was fraudulently induced to enter into a retainer contract with Coherent Economics and seeks the monies it lost, including interest. Cornell and his attorneys vehemently deny the allegations. Generally, the Witness Litigation Privilege provides a certain level of immunity to witnesses. Grounded in English common law, but also recently upheld by the 4th Circuit Court of Appeals, “[w]hen a witness takes the oath, submitting his own testimony to cross examination, the common law does not allow his participation to be deterred or undermined by subsequent collateral actions for damages. The vital protection afforded all participants in litigation is unwavering. 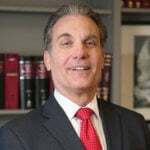 It is a bedrock of our law today just as it was centuries ago.” That being said, there are a number of states, including Pennsylvania, Alaska, California, New Jersey, Missouri, and Texas) that have abrogated witness immunity when the expert was negligent in forming their opinion. Likewise, a number of experts also must adhere to ethical codes of conduct as enumerated by their respective fields (For example, the AMA Code of Medical Ethics provides an ethical guide to physicians which also applies to their work as medical experts). Therefore, it is possible for an expert to be held accountable for an opinion that was negligently (or in Cornell’s case, spitefully) formed.